There didn't seem to be many articles specifically about our state, but Minnesota was ranked second in an annual Kids Count assessment of children’s well-being in the U.S. Minnesota has ranked first overall as recently as 2007 and consistently has been in the top four. Only New Hampshire ranks higher this year. “It’s a good place for children to live,” said Tara Arzamendia, research director for Children’s Defense Fund Minnesota. The 10 indicators of well-being that were taken into account for this list cover health, income, education and other factors. The statistics used include dropout rate, single-parent families, parental employment, teen birth rate, poverty rate, infant mortality rate and child and teen death rates. Minnesota ranked no less than 9th in any of the categories. The authors of the Kids Count study said on a national level, the new data was mixed. Six factors showed improvement, and four got worse. The study uses information from 2006 for health figures. The socioeconomic and education data dates to 2007. So the recession and unemployment of 2008 does not show up in the study. Economic slowdown aside, this reinforces information that we've heard before about our state and about individual communities like Chanhassen, Edina, and Minneapolis: Minnesota is a wonderful place to live and a great place to raise a family. The Guthrie Theater in Minneapolis is a revered center for theater performance, production, education, and professional training. It is located in the Twin Cities as a result of Sir Tyrone Guthrie, who wanted to to create a resident acting company that would produce and perform the classics in an atmosphere far away from the commercial pressures of Broadway. After Guthrie published an invitation in 1959 soliciting interest and involvement in a resident theater, Minneapolis was one of seven cities to respond. The Twin Cities was chosen not only because it's people were interested but also enutisatic for theater. The Guthrie seen below was completed in 1963. The Guthrie opened its doors to the public on May 7, 1963, with a production of Hamlet. Throughout the 1960, 1970s, 1980s, and 1990s it had many successful shows and won critical acclaim for performances such as of Henry V, Three Sisters, Oedipus the King, Love's Labour's Lost, A Streetcar Named Desire, The Marriage of Figaro, A Midsummer Night's Dream, Richard III, Medea and As You Like It. The production of The House of Atreus in 1968 was such a success it was taken on the road in a national tour that was a first for a resident theater. Also in 1968 the Guthrie started expanding to other parts of the Twin Cities. A series of plays were done on the smaller stages of the Crawford-Livingston Theater and The Other Place. In 1985, artistic direct Garland Wright wanted to have a second, smaller stage that could act as a lab to enable the exploration of new work and performance techniques and thus the Guthrie Laboratory was born in the Minneapolis Warehouse District. It should come as no surprise that the company that introduced the Happy Meal would also commission a study to find "The Happiest Cities for Families." It should also come as no surpise that Minneapolis came out at the top of the happy family list. Comissioned by McDonald's, Sperling's Best Places set out to find the happiest, family-friendliest cities in America. The results were based on social activities, recreational resources and household expenditures on fun activities. Minneapolis receives high marks for social activities such as neighborhood get-togethers, spending time with friends, and sharing meals with family members. 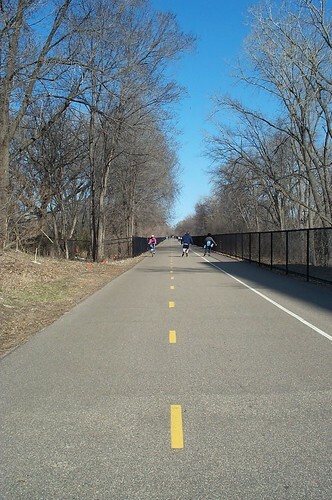 Researchers also noted that the Minneapolis park system is known as one of the nation's best, providing many sports fields, ample tennis courts, and ample ice rinks. Twin Cities communities are really gaining some national attention these days. Earlier this month, Money Magazine voted Chanhassen as the second-best place to live in the U.S. Chanhassen came in behind only Louisville, Colorado. Additionally, Edina was named by Family Circle in its annual top ten list of best cities and towns for families. Want to join the fun? Check out Minneapolis, Edina, and Chanhassen real estate! The Stone Arch Cinema, previously known as the St. Anthony Main Theatre, is located not-so-coincidentally at the St. Anthony Main shopping and office complex, just down the road from the Stone Arch Bridge (hence the name). 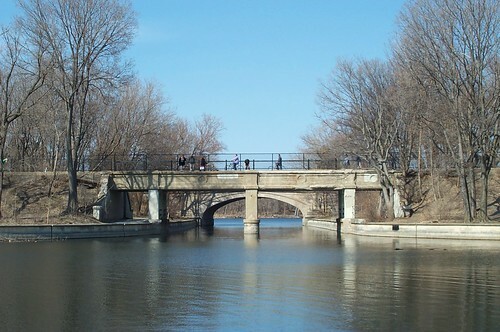 It is located on Main Street in the Nicollet Island/East Bank neighborhood of Southeast Minneapolis. Saint Anthony Main fronts the river at Saint Anthony Falls, the only waterfall on the Mississippi River, and sits next to the Hennepin Island Hydroelectric Plant, host of the Water Power Park. Saint Anthony Main opened as a festival marketplace in the 1980s to revitalize the area. Though initially popular, it had economic troubles after noise restrictions reduced its hours of operation. The area has since undergone a resurgence, thanks in part to the condominium boom in the early 2000s that spurred projects in and around the area, including the Pillsbury A Mill complex and the Gold Medal Flour complex. Saint Anthony Main is now home to the Stone Arch Cinema, four bars and restaurants, a small cafe, and a Segway tour operator. (Yes, you read that right). Some of the buildings in the Saint Anthony Main complex date from the 1850s when the Village of Saint Anthony on the northeast side of the Mississippi River was still separate from the City of Minneapolis. While taking a picture of Pillsbury's Best Flour sign (which I'll have to get a better picture of soon), I noticed that Saint Anthony (or the Stone Arch Cinema itself) has a green roof installed on top that is clearly visible from a nearby sidewalk. Doesn't it look nice? The regular Greening Minnesota feature was interrupted in June because we were moving over to the new website. But that doesn't mean that the collection of green stories stopped. This month's edition includes stories from and for June and July 2009. This is in some-what chronological order for when the stories were published. Four creative containers for recycleables (and only recycleables) were unveiled in Mears Park. The Lowertown park is the third location to take part in an experiment by St. Paul and Eureka Recycling to see whether "public space recycling" can be cost effective and help the environment. People can recycle aluminum cans, glass and plastic bottles. If you see them, make sure you don't put garbage in them! That can take away from some of the benefits. St. Paul has set a goal to be waste free by 2020. Speaking of recycling, you probably know places where you can recycle electronics and cellphones in Minneapolis and St. Paul. But what about electronic chargers? A recent article by the Star Tribune answers that question for you. Cub Foods and Supervalu have announced that a Cub store has become the first grocer in Minnesota to be awarded LEED (Leadership in Energy and Environmental Design) Gold NC2.2 Certification. The Cub store, located in the Phalen neighborhood of St. Paul, is one of three grocery stores in the nation to successfully achieve LEED Gold Certification. Check out the link to read all about the store's green technology, including its 44 skylights that illuminate 75 percent of regularly occupied spaces using a solar powered GPS system that tracks and redirects sunlight as needed. Money magazine has named Chanhassen as one of the best places in the nation to live. The Twin Cities suburb was named the second-best small American town to call home. For the 2009 rankings, Money focused on "small towns," defined as having a population between 8,500 and 50,000. Chanhassen came in behind only Louisville, Colorado. Apparently Chanhassen never got the memo that it's supposed to be in a recession. Unemployment here was more than three percentage points below the national average in May, thanks to a broad jobs base in the Twin Cities area. Property taxes have dropped every year in the past five, even as median home prices have crept up. And the town still boasts a per­fect triple-A bond rating. But Chanhassen has much more going for it than terrific numbers. "There's a genuine small-town feel," says Sarah Pinamonti, 41, who moved here with her husband, Rick, 43, in 2002. They've never regret­ted it. "We rarely have to leave town to have fun," says Rick. No wonder: The town has 11 lakes, 34 parks, and the 1,047-acre Minnesota Landscape Arboretum. Come winter there's a carnival, ice-fishing contests on Lake Ann, and skating and hockey everywhere (town officials flood grassy areas to create outdoor rinks). Wimps beware: Those activi­ties require braving temps that often dip into single digits. This isn't the first time a Twin Cities community has breached the Top 10. Last year, Plymouth was listed at the #1 place in America to live. Eden Prairie was listed at the #10 best place to live in the U.S. in 2006.